Four representatives of PRO have been informed of their assignments to the qualification tournament for the Rio 2016 Olympic Games. 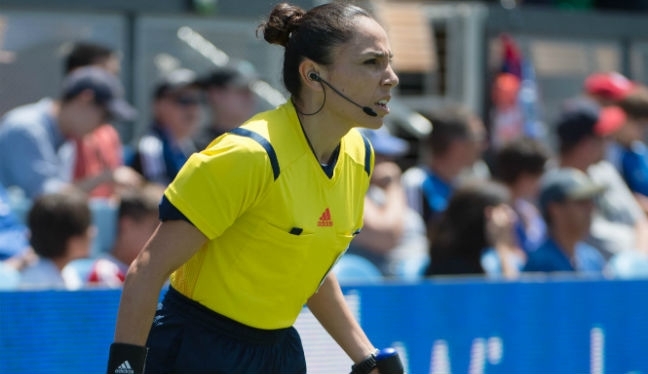 Women’s referee Margaret Domka and assistants Felisha Mariscal and Kathryn Nesbitt have been assigned as officials in the CONCACAF Zone qualifiers, which take place in February. PRO Women’s Referee Manager Sandra Serafini, meanwhile, has been appointed as a Referee Assessor for the tournament. “The quality of women’s soccer in CONCACAF continues to improve rapidly,” Serafini told proreferees.com. “The competition among the officials is just as high as it is amongst the teams to perform at the level needed for selection to the Olympics. “We are very pleased to have such a dedicated contingent of officials representing PRO and U.S. Soccer. “All the hard work of the PRO support staff and the officials themselves in FIFA, MLS, and NWSL competitions give us utmost confidence in their ability to come together and excel during the tournament. All four will be active in Group B of the tournament – held at BBVA Compass Stadium, Houston, which is where the semifinals and final will also be staged. Full details of groups and the schedule can be seen below.